"We have had the pleasure of being affiliated with Hershey Pharmacy for the past 25 years. Their pharmaceutical supply service is excellent but the true value of the affiliation is the personalized service they provide. They are available 24/7 and gladly come onsite whenever there is a question or problem. Their consulting services are tailored to our facility and their attendance at our Quality Assurance meetings is simply a “given”. 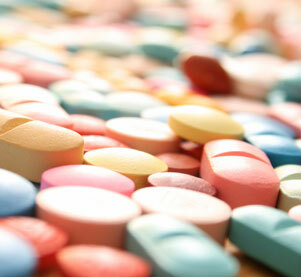 They keep us up to date with anything new – recalls, drug interactions, new technology etc. They are accessible to us at any time for individual resident medication reviews if we are having issues with falls or confusion. Thanks to their efforts our Quality Indicators for pharmaceuticals are always well within acceptable parameters. We would recommend Hershey Pharmacy to any long term care facility." "HLTC Pharmacy (HersheyCare), located on site, has been providing services to nursing, personal care and independent living residents at LVBH for ten years. As an administrator, it is great to have owners like Chuck and Kris, who are only a phone call away if needed. I prefer the individualized attention that you receive from Chuck and Kris, as well as the staff, over a large corporation. Our independent living residents enjoy the professional yet very personalized services they receive from the HLTC staff."